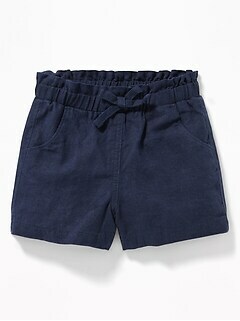 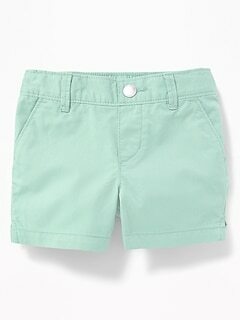 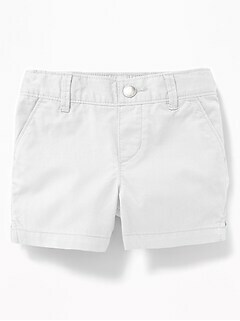 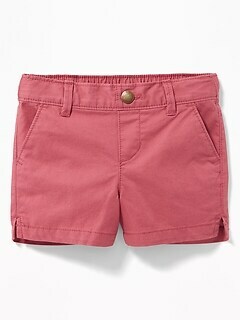 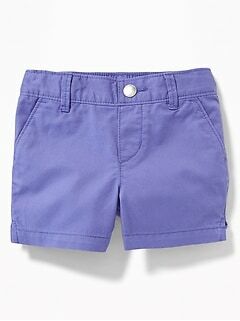 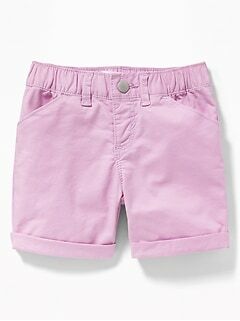 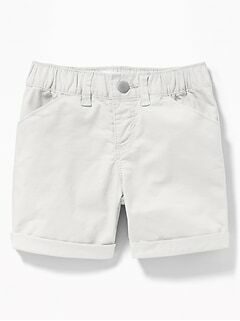 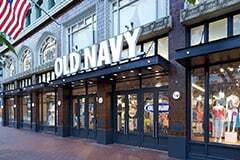 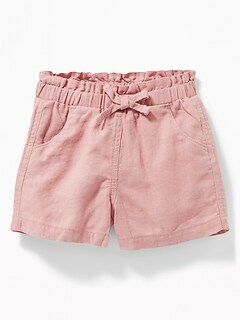 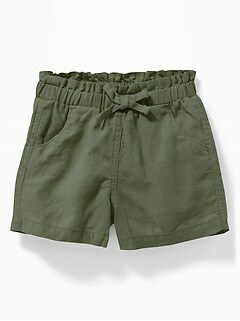 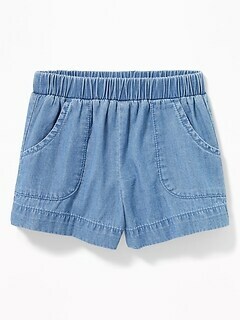 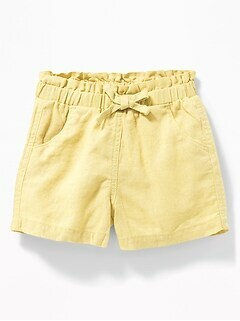 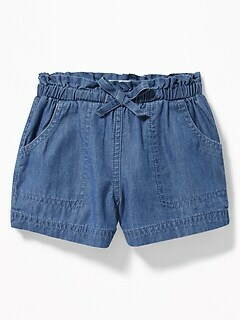 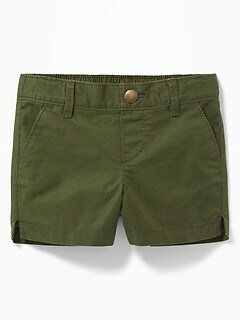 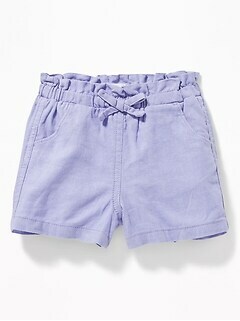 Old Navy offers an adorable collection of toddler girl woven shorts. 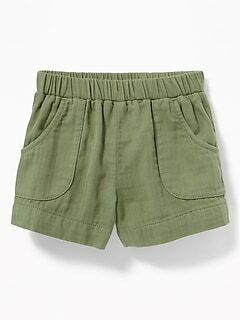 Our woven shorts for toddler girls are available in a variety of contemporary styles including roll-up Bermudas, cuffed tie-belt shorts, lightweight twill shorts and denim buttoned-cuff Bermudas. 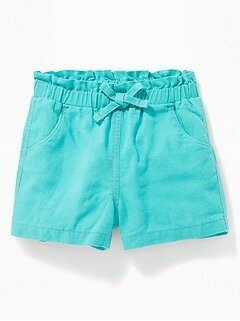 Your little one will be the trendiest toddler at the park in toddler girl woven shorts from this selection. 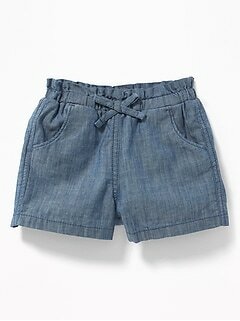 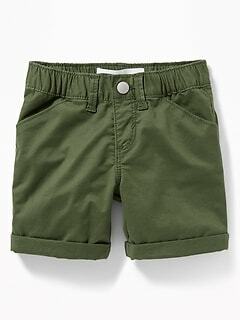 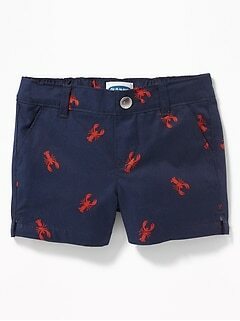 These woven shorts for toddler fit and wash like a dream.